Pacific Resources International (PRI) is the Essence of New Zealand. They have a line of amazing sea salts & Manuka Honey products that are perfect for gift giving this holiday season. Discover for yourself the unique and wondrous properties of Manuka Honey. Manuka Honey has been shown to have natural, powerful antibacterial properties that aid with digestion and boost the immune system. Taste Pacific Sea Salt & taste the difference! Their Natural and Organic ranges of Pacific Sea Salt from New Zealand. their sea salt is obtained from solar evaporation of sea water and is an entirely different salt from modern refined salt. It contains a variety of minerals that play a role in keeping the body's electrolytes in a healthy balance. They offer a huge line of amazing sea salts including infused salts! Keep reading to learn more. All of PRI’s Pacific Sea Salt products are harvested from the pristine oceans around New Zealand, while also being naturally dried, containing no additives, and retaining all of the natural trace elements. More specifically, PRI’s Pacific Sea Salt is obtained from the energy-efficient method of solar and wind evaporation of sea water. This all-natural, age-old process – only where clean oceans can be found – retains the key minerals that play a role in keeping the body’s electrolytes in balance for a healthy lifestyle. After a long run, tough workout, or hot day - we all need to restore our electrolytes. I recommend PRI's Sea Salts over those sugar laden drinks. Add some salt to a boiled egg, your water, or on any post workout snack to get your electrolytes back to normal levels. NEW ZEALAND PACIFIC SEA SALT is imported by Pacific Resources International, the company that first brought Manuka Honey to American consumers some 40 years ago, Pacific Sea Salt is derived from the still-pure waters off New Zealand and represents a great (and delicious!) way for people to satisfy their salt cravings without consuming the less healthy traditional table salt most of us use at home, at work or at restaurants. 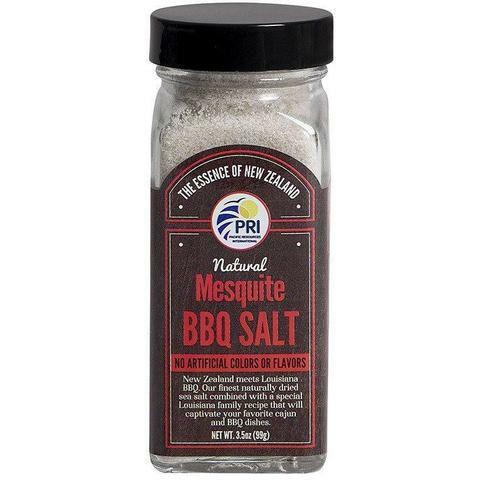 Their salt is available in course, fine, in Mesquite BBQ, and a variety of packaging & sizes. Their Mesquite BBQ Salt is amazing on chicken, fish, veggies, and more- add flavor without calories & extra junk. Easy to use & tastes amazing. This would make a wonderful stocking stuffer or secret Santa gift this holiday season. PRI's Manuka honey is not only delicious, it is genuine and has been independently tested for potency and purity. I wish I could try all of the amazing varieties that PRI offers. They work directly with the bee keepers in New Zealand who pack their honey. 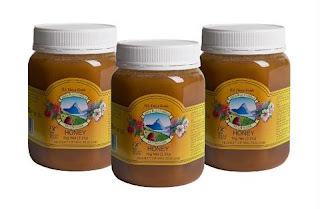 All of their jars of honey have the name of the company in New Zealand who packed it so you can be assured it was harvested from a reputable source. Manuka honey is sourced from the Manuka tree that is native to New Zealand. All of their honey is cool processed; this means the honey is filtered to extract bee particles or bits of honey comb that have fallen in the honey. The honey is 100% raw and tastes amazing. The difference is clear just looking at it. PRI offers a variety of honey options in varying sizes. They also offer lozenges, chocolates, honey sticks, and a cough elixir. I would love to be surprised in my stocking this Christmas with some of this amazing honey, a package of honey sticks, or some yummy Manuka Honey Chocolates. Great for hostess gifts, holiday parties, and more. Grab some for yourself & anyone special on your list this year.